The Factory is a novella about a group of friends that took up urban exploring of old abandoned buildings when they were in college and formed a group called the Gaffney Legendary Urban Explorers Club a.k.a. the GLUE Club. When one of their group members dies suddenly they all reunite for the funeral. To honor their friend's memory, they all decide to go exploring the one building that they've talked about for years because of the rumors that swirled around it, but weren't able to explore before, because it's always been heavily guarded. Now though, the building has been put up for sale and the guards removed, so the GLUE Club finally finds a way in- but getting out isn't as easy!!! I'm fascinated with urban exploring and if I lived in a bigger city that had urban exploring groups I would immediately take it up as a hobby. So when I saw this novella was about urban explorers I was thrilled to death. It was a pretty intense story and I loved the old factory setting. I thought the parallel story line that was presented through the supernatural elements, about the factory workers and its owner, was also done very well. My only complaint is that it wasn't long enough. That's just a personal thing though that I have with novellas. I never feel like I have enough time to really get to know the characters and as soon as I start getting into the story-it's over. If you don't mind reading novellas and are in the mood for a quick scare, I would highly recommend checking this one out. 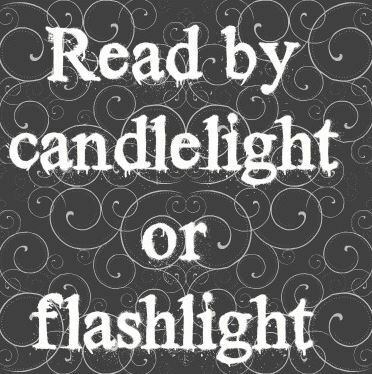 *I read this for my 2016 Halloween Bingo: ~Read By Candlelight or Flashlight~ square. I read it this weekend, late at night, in complete darkness, with only a small headlamp similar to what they use for exploring and that added even more creepiness to the story- where they saw shadows in the factory, I was seeing shadows in my recreation room too. : ) That was a lot of fun! If you read this story, you should definitely try it!